Apple plans to launch Apple Pay in mainland China before the weeklong Spring Festival starting February 8, 2016, also known as the Chinese New Year, according to The Wall Street Journal. The report claims Apple recently reached deals with China's big four state-run banks to launch Apple Pay, but the iPhone maker could still face regulatory hurdles in the country. China's big four state-run commercial banks include the Bank of China, China Construction Bank, Industrial and Commercial Bank of China and Agricultural Bank of China. Alipay and Tenpay are currently the two largest electronic payment platforms in China, with nearly 64% combined market share, according to the report, citing research firm Analysys. China's only interbank network UnionPay holds a monopoly on the country's credit and debit card processing, effectively blocking MasterCard and Visa. The state-run organization does offer some credit cards affiliated with American Express, MasterCard or Visa for use abroad. One Chinese developer who has seen the latest beta version of Apple’s mobile-operating system said logos for China’s UnionPay can be found within the package. China UnionPay Co. press officials didn’t respond to requests for comment. Apple is committed to an international expansion of Apple Pay, having launched the mobile payments service in Australia and Canada last week in partnership with American Express. Apple Pay is also coming to Hong Kong, Singapore and Spain in 2016. China has also been an oft-rumored candidate for Apple Pay. Apple CEO Tim Cook told Chinese news agency Xinhua in May that Apple "very much want to get Apple Pay in China," adding that he is "very bullish on Apple Pay in China." Apple has registered an entity in the Shanghai free-trade zone to prepare for the launch of Apple Pay in China, the WSJ previously reported. Apple Technology Service (Shanghai) Ltd. was registered on June 10, per the Shanghai government's company registry. Always amazing how people are upset (seriously?) about something that considering how long we live is only a blip in our lives. Folks, you survived so far without Apple Pay and NFC! I think people (at least in the US) expected a seamless experience just like with Apple's other products. Unfortunately it didn't work out that way, partly because Apple didn't expect such a huge backlash by some retailers and partly because the rest simply put off upgrading until the last second. Knowing what they know now, Apple probably would either have purchased LoopPay and included MST in their products to compensate or would have put a far greater emphasis on in-app use of Apple Pay in the US than in-store use for the first year or two. Yeah. Screw the Europe, launch in China first. Pssst.. Apple! Don't forget Visa and Mastercard in Canada, pretty please! In some countries, it's a HUGE cut. For example, contactless fees in many EU countries such as France are only around 0.22%. The UK, which might be capping theirs soon the same way, is currently 0.65%. Either way, giving Apple 0.15% is impossible to support. In Canada, the debit card fee is $0.006 (6/10ths of a penny) per transaction. In the US, Apple demands 1/2 cent per debit transaction, or what would be almost the entire Canadian fee. And that's just the tip of the Apple Pay iceberg. Banks also have to pay Visa/MC etc for tokenization services per transaction. For example, MC charges $0.50 for provisioning a token, and $0.025 per token API call. The banks also have to hire extra help centers for Apple Pay. Moreover, they have to give Apple constant reports about purchase types and places... information that was formerly proprietary. At least MC and the banks are providing servers and services and comms and fraud handling to earn their per-transaction fee. OTOH, Apple itself has no such costs during a transaction, since they only provide the device (which they already made a huge profit on). The fee is basically a charge for access to their users (a classic the-customer-is-the-product scenario). Europe is a more capital intensive market, actually, and FYI, by number of inhabitants as well. The GDP is higher than in US. So what's your point? I like how Apple is expanding to China, and trying to push expansion into Australia and Canada with American Express, but we need some more merchants on board. Fandango was a great edition to the list of Apple Pay partners, but stores like Big Lots, Johnny Rockets, Regal Cinemas, and JC Penny have been on the "coming soon" list for what seems like forever. What gives? I'm posting this in as many Apple Pay related things I can find, but previously when I tried to add my RBC MasterCard or TD Visa, I was told "The issuer does not support this card". My RBC card still does, but my TD Visa now says "An error occurred" making it seem like maybe the TD cards are now attempting to actually contact TD Canada Trust but something isn't fully set up (obviously). Apple plans to launch Apple Pay in mainland China before the weeklong Spring Festival starting February 8, 2016, also known as the Chinese New Year, according to The Wall Street Journal ('http://www.wsj.com/articles/apple-pay-may-launch-in-china-by-february-sources-say-1448340287'). China's only interbank network UnionPay holds a monopoly on the country's credit and debit card processing, effectively blocking MasterCard and Visa. 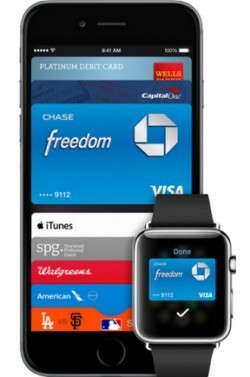 The state-run organization does offer some credit cards affiliated with American Express, MasterCard or Visa for use abroad.Apple is committed to an international expansion of Apple Pay, having launched the mobile payments service in Australia ('https://www.macrumors.com/2015/11/18/apple-pay-launches-australia-american-express/') and Canada ('https://www.macrumors.com/2015/11/17/apple-pay-launches-canada-american-express/') last week in partnership with American Express. Apple Pay is also coming to Hong Kong, Singapore and Spain ('https://www.macrumors.com/2015/10/27/apple-pay-american-express-partnership/') in 2016. Apple has registered an entity in the Shanghai free-trade zone to prepare for the launch of Apple Pay in China, the WSJ ('http://www.wsj.com/articles/apple-pay-begins-entry-into-chinese-market-1442566884') previously reported. Apple Technology Service (Shanghai) Ltd. was registered on June 10, per the Shanghai government's company registry. Despite the market itself, and its potential, Apple Pay might not be able to trigger a massive revolution of NFC payment in the near future. It is more like integrating with Taobao, Tianmao and Alipay to enable in-app Apple Pay purchase. But yeah, if Apple Pay can support public transit system payment, like what it has done in London, UK, that would be great. I hope one day I can just carry my phone to use Opal card, rather than carrying one more card with me.